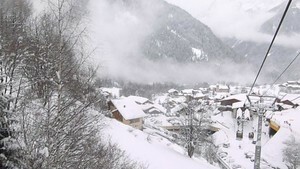 Champagny is part of the Paradiski area, on the southern side of the skiing domain and includes over 200km of slopes. 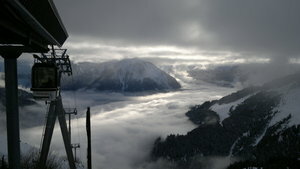 The cable-car, near the centre of Champagny, carries you up to 2000m in 7 minutes. For snowboarders, there are 2 snowboard parks, including a half-pipe. Free stylers (on ski or snowboard) will enjoy 4 to 8m long 'tables' (for jumps), a 12metre long 'spine', some 'rails', a 'transfer' and a 200metre long boarder cross. There is summer skiing on the glacier at Champagny. Plenty of options besides downhill, including Europe's only artificial tower for ice climbing and magnificent cross-country touring on Champagny Le Haut plateau. 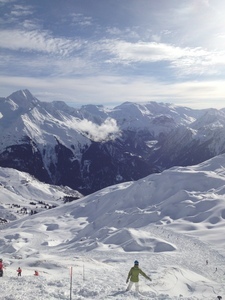 Loved every bit of Champagny. 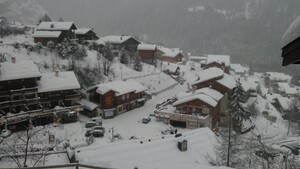 Stayed in Le Centre Feb 2012; very close to all ammenities and gondola. 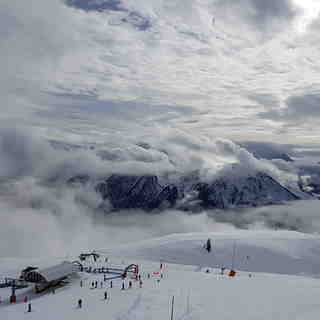 Amazing skiing for every level and will be going back.